The tundra, which is extremely rich in lichens, proved very useful to study the world’s distribution of pollutants: the wind actually carries poisons everywhere, even thousands of kilometres away. Lichens are excellent bio-indicators, i.e. natural signs that allow us to locate disrupted environmental balances. Atmospheric pollution may be monitored by studying lichens, which are organisms deriving from the symbiosis of an alga and a fungus; together, they can cope with harsh climatic and environmental conditions and colonise inhospitable places. The symbiosis is an association of different organisms, which proves beneficial to all of its parties. In the case of lichens, the fungus supplies the alga with water and in return the alga shares with the fungus the sugars it produces through the photosynthesis. 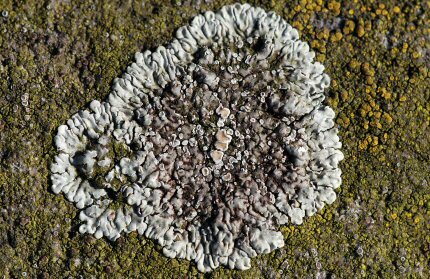 Since they live in places that are very poor in nutrients, lichens take in all that they can. Unfortunately, they also take in harmful substances, which can slowly kill them. The analysis of lichens can provide interesting information on the pollutants existing in the environment. Reindeers are also good bio-indicators, since they feed on lichens. Researchers monitor reindeers as the latter go looking for new pastures and check their health.